Chicago is a great city, and with so much to see it can be a challenge to know where to start. Rich with history and amazing architecture Chicago wins over almost everyone that visits. Here are some of the places you have to visit while in the windy city. 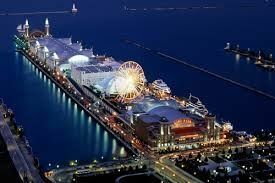 One of the things Chicago is known for is the Navy Pier; this impressive landmark opened as a recreational and shipping pier in the early 1900’s. Sitting on Lake Michigan the Navy Pier offers the perfect place to spend an afternoon. It’s lush acres of parks are surrounded by gardens, unique shops, restaurants and family friendly attractions. 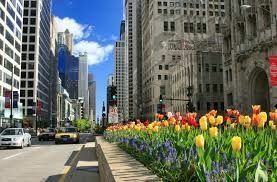 If you love shopping, dining, and history, then you need to take a walk on The Magnificent Mile. In just one mile you can find amazing food, high-end shops, museums, and events. If you love to shop, you can find everything from Nordstroms to TJMaxx, and with some of the best restaurants in the country, you can enjoy your trip as you walk along the most famous mile in the country. 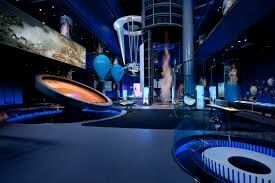 Opened in 1933 the Museum of Science and Industry has long been a Chicago institution and a must-see location. You can descend into the past as you experience early mining. You can view the machinery and ride into a mine so real you will forget you are in a museum. Or explore a genuine U-505 submarine and learn the history of this impressive exhibit. Known as 360 Chicago, the 94th floor of the John Hancock Center offers amazing views of the city and Lake Michigan from over 1000 ft above the city streets. You can also enjoy a cocktail, snack or coffee from the café while watching the sunset. And for the brave, you can try the newest attraction Tilt. It extends you out of the building to face downward over The Magnificent Mile. 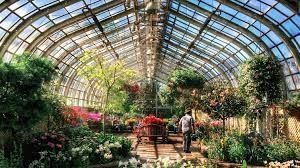 This impressive and historical conservatory was built between 1890-1895 to restore a small greenhouse. Designed by Joseph Lyman Silsbee the conservatory now houses exotic and ancient plants that will take you back in history. You can even find tropical plants, like palm trees, growing alongside the flowers. This is the perfect place for anyone with a green thumb. The best way to see Chicago in all it’s splendor is by taking a walking tour, here are some free tours to get you started. 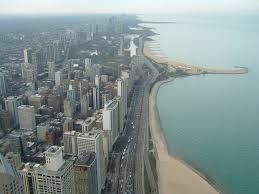 Free Chicago Walking Tours: With an impressive lineup you are sure to find the perfect free tour for you. From the Architecture Tour to the Crime and Gangster tour you can learn about the history, even the scary history, of this amazing American city. Free Tours by Foot: This free tour offers a wide variety of options, from history to film, and even a little scary ghost tour you can find the perfect tour for you and your family. Below you can find more popular (but not free) activities and tours in Chicago. Are you from Chicago and want to be a tour guide? Please get in touch by submitting your details on this page!